Hello my beloved loyal readers! I'm going to start another long chain of posts regarding my travel. 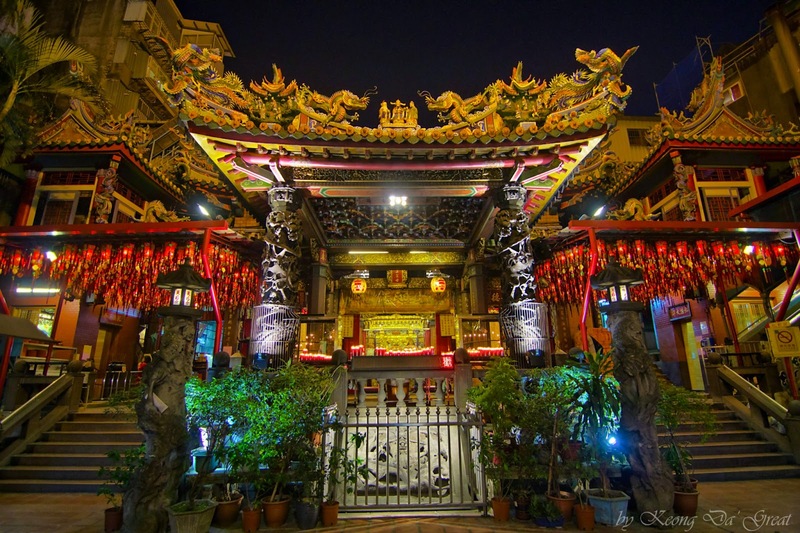 I visited Taiwan last year with hubby and his colleagues from 6th to 18th November 2012 which was autumn season. I will combine day 1 and 2 together just like Phuket Krabi Day 3 and 4 because usually first and last day you don't do much but travel. 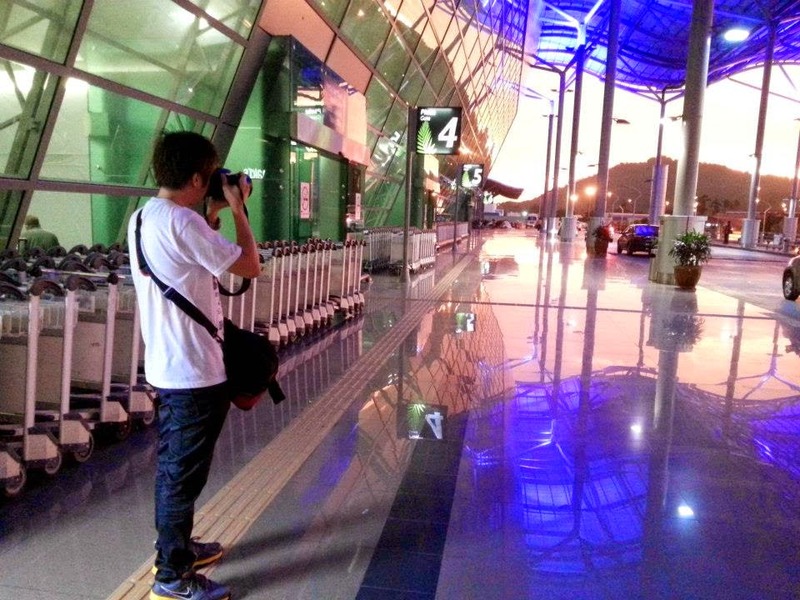 Hubby busy taking photo of the sunset. We sat on 8:30pm flight from Penang International Airport (PIA) to Low Cost Carrier Terminal (LCCT) which is nearby KLIA and reached at 9:30pm. 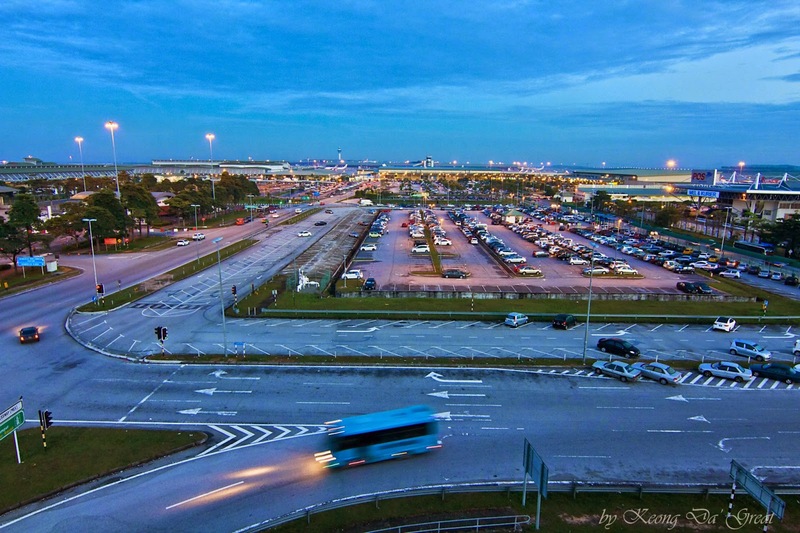 LCCT is replaced by KLIA2 in 2014. We had dinner at an economy rice stall in PIA which costs us RM30 for 2 plates of rice with a meat and vege! If you ever plan to have lunch or dinner at the airport I suggest you better head to McDonalds or any fast food outlets. * Pls research on plug converter when you travel. Although the pins are the same, the socket for Japan, Korea and Taiwan are different. 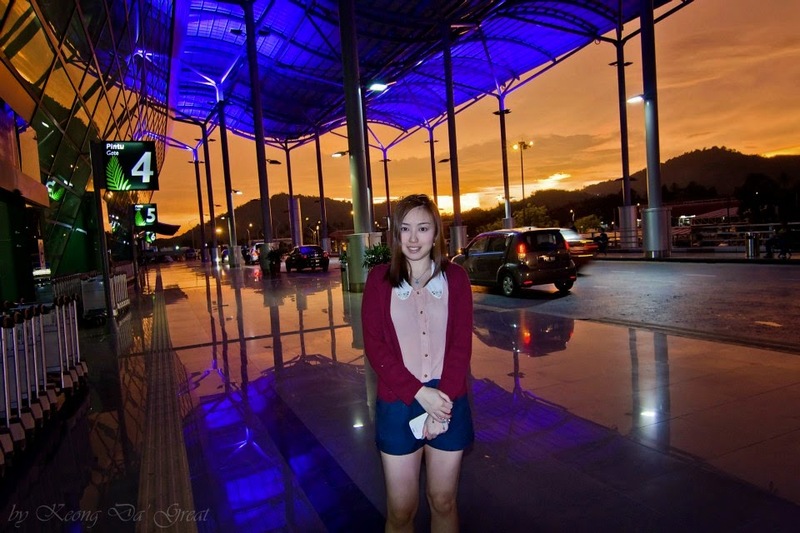 We spent the night at Tune Hotel nearby LCCT and it was a terrible experience. We did not order aircon so it was very humid even with ceiling fan. We also opened the window just abit because it was very dusty and vehicles were honking all night and it was just too noisy to sleep. 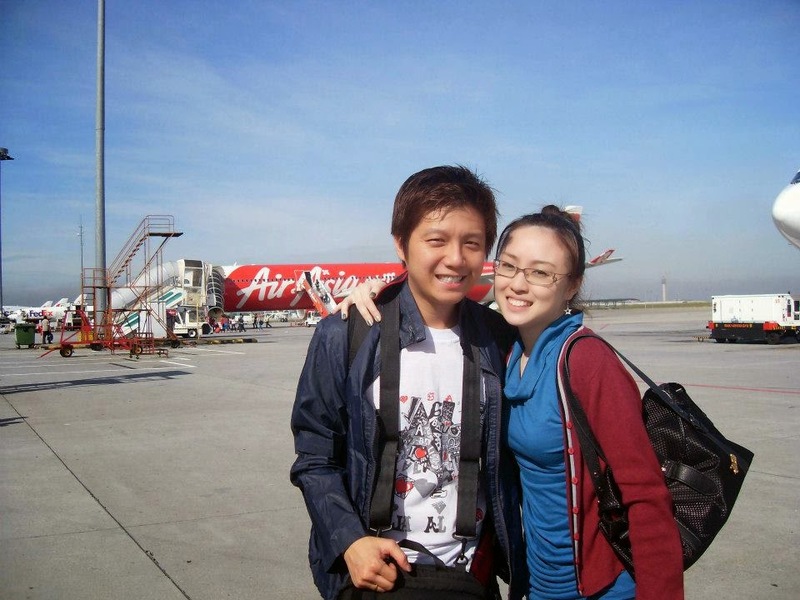 The next morning, we took the 9:50am flight to Taoyuan International Airport. We woke up at 6am and must be at the airport 2 hours before departure because it's the common rule. Actually it wasn't a nice experience. Narrow seats, no meals, no water no everything unless you pay extra. Which is why I fly with SIA for my Korea trip. SIA even provided dessert and wine for us and free instant noodles whenever we request. We arrived at Taoyuan International Airport at around 2:30pm. I have forgotten where we had our lunch but I remember we simply tapau from somewhere. Arrived at Colormix minsu. Do check out that link because the rooms are so chic. We stayed in this room from Day 8 till the end. 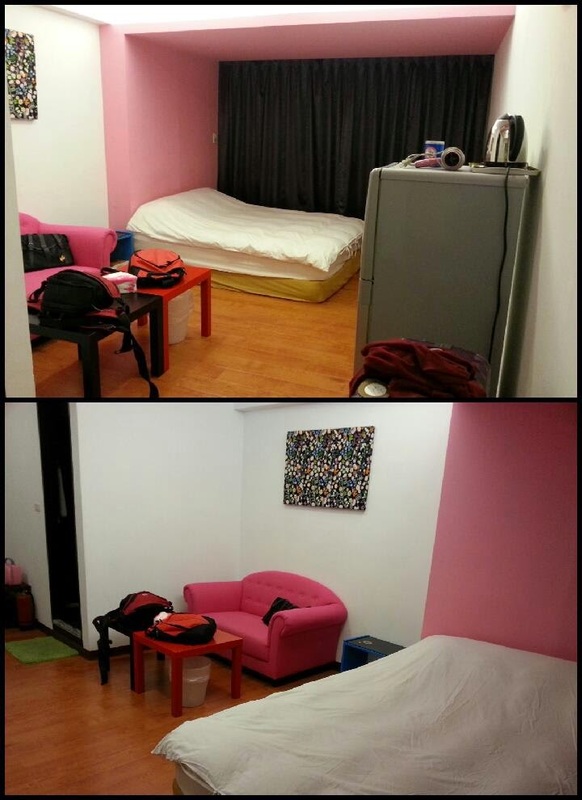 Less than RM100 per night and just a few blocks away from Ximending.No lobby, no breakfast but the toilet was pretty. 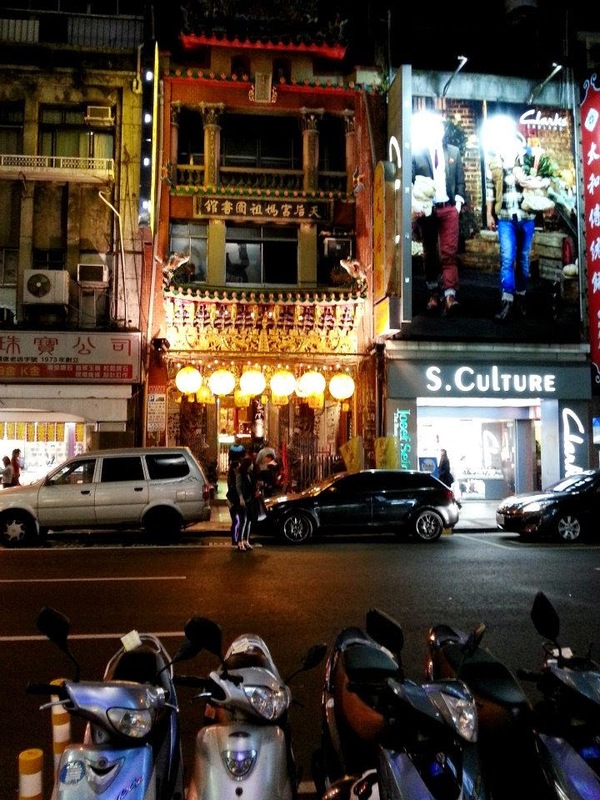 The hotel is at 3rd and 4th floor if not mistaken and you will see commercial shops like spa, clinic, mart & karaoke along your corridor as well which is why hotels in Taiwan are called minsu because the whole building will be shared. In Malaysia and most countries, the hotel owns the whole building or at least every floor on the plot of shoplot. Our 1st bedroom of the trip, the pink room. Not bad lah...minsu in Taiwan are famous for being beautiful. After unpacking, bathing and resting we head out for an early dinner around 6pm but it was so dark! The sun sets at 4:30pm everyday during autumn and winter. Anyway, we saw this shoplot temple in the middle of the street so we got curious. Why the temple had to squeeze in such a way? Then we got in and it was magnificent! 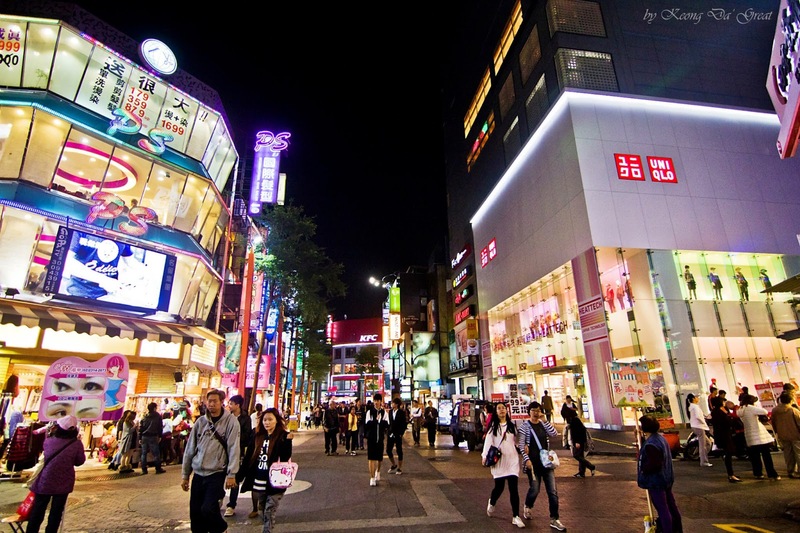 After walking a few blocks we saw somewhat like Shibuya! It's driving me crazy coz I love such places. 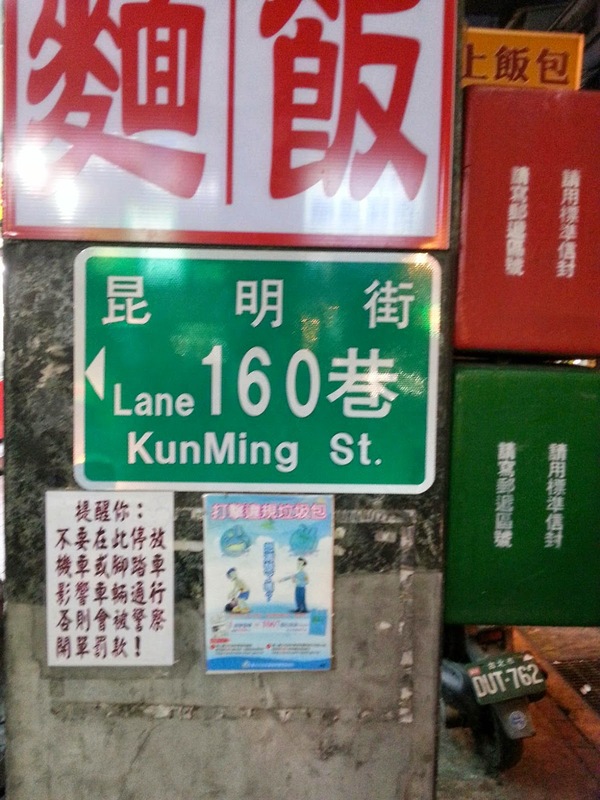 By the way, to head to Ximending we turned left from outside our minsu. It's like Tokyo here but lesser people. It was so cold! Real feel about 16°C. I remember it was Twilight poster arch behind us. This street is called the movie street because it's a whole stretch of cinemas. One of the first stalls we saw along the Japanese street. We went up to a random fusion restaurant and we got to play poker before our dinner is served. It's huge and it's mine! I remember it costs no more than RM30 for this set. Both of us ate beef set. 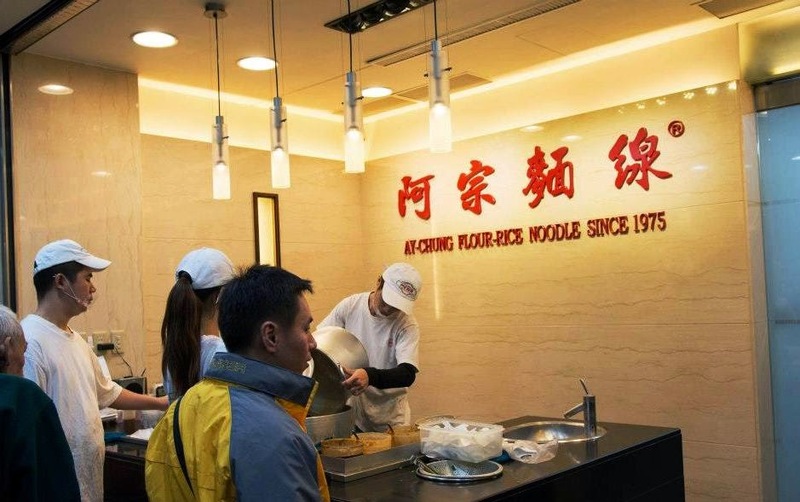 For supper, we ate at this famous noodle shop. There's always a lot of customers lining up at this stall. Though the line was long it was quick. I dislike the noodles coz I feel nothing special and its sourish. Around 10:30pm we went back to our minsu and called it the night. Stay tuned for Day 3 and 4 where we will go to Kaohsiung. Day 5 we will go to Alishan then Day 6 to Sun Moon Lake. As for Day 7 we will be going to Taichung then Day 8 back to Taipei till Day 11.